Music and fashion enthusiasts, mark the date. 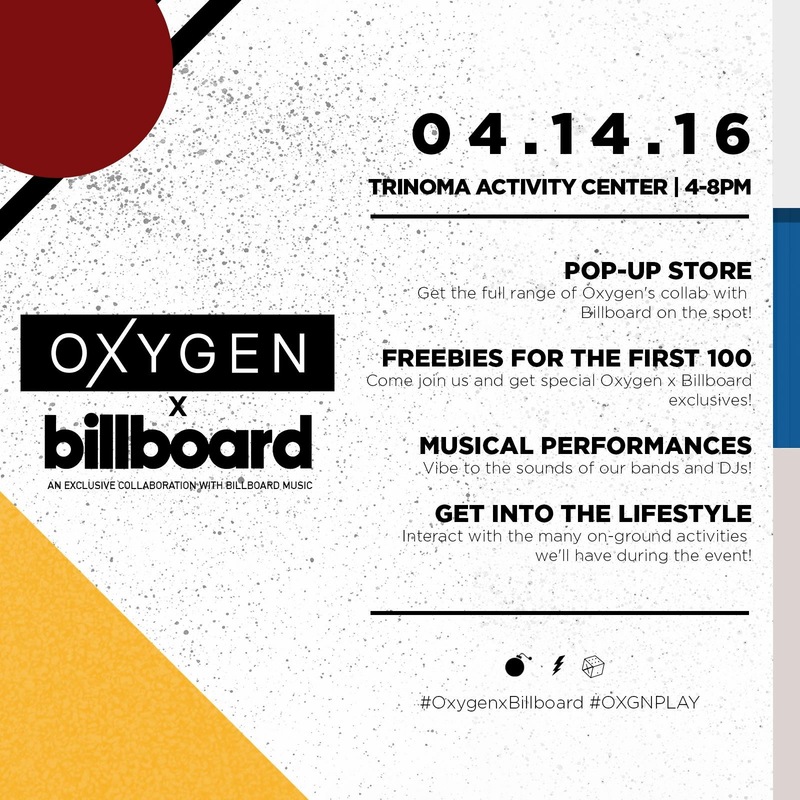 Oxygen, the preferred fashion brand of the stylish youth, is holding a pop-up music fest on April 14 at TriNoma’s Activity Center to launch its exclusive partnership with global music giant Billboard. The event will feature live musical performances from Sam Concepcion and some of the country’s upcoming bands and DJs like Never the Strangers, She's Only Sixteen, DJ Toby, and Kat DJ. Music buffs can also update themselves on the latest global hits with a featured music station that plays the most current chart toppers from today’s hottest artists. 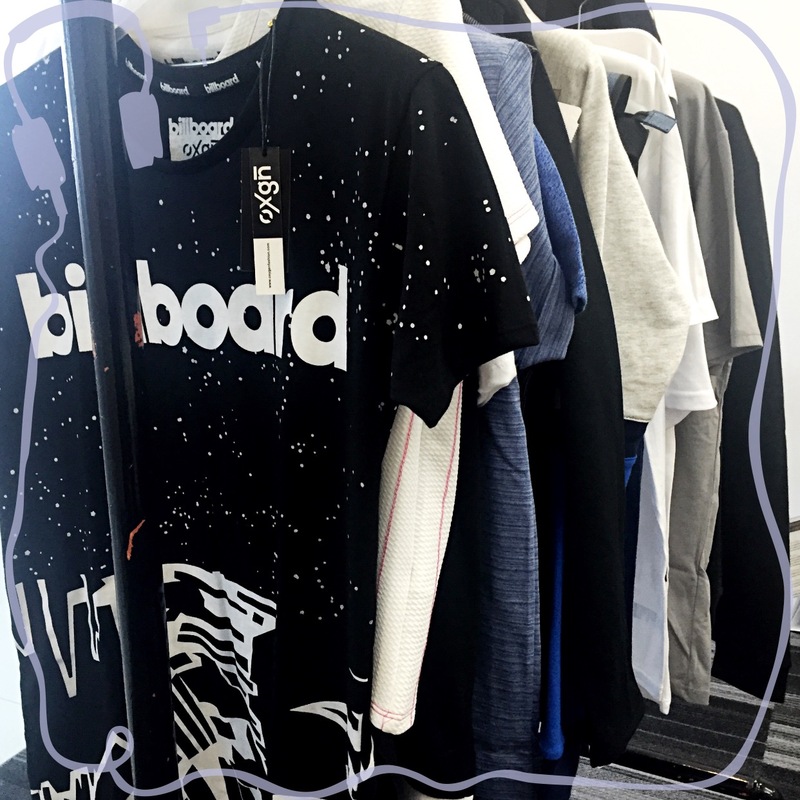 Most importantly, guests can take their pick from the Oxygen x Billboard pop-up store which will feature pieces from the collaboration AND Instagram-worthy spots for them to shoot their own OOTDs in. The Oxygen x Billboard collection features items for everyday use including graphic tees, pullovers, jackets, dresses, and accessories like caps and bags. The designs, which take heavy inspiration from the rock and hip-hop genres, come mostly in black and white save minimal pops of color here and there for select items, and scream of New York street fashion. The collection is now available at all Oxygen branches! Tell me if you've checked them out already, and please do tweet me if you're coming to the event on Thursday so I can meet you! You may also RSVP to the official Event Page here. See youuu!